I am such a sucker for a little black dress. 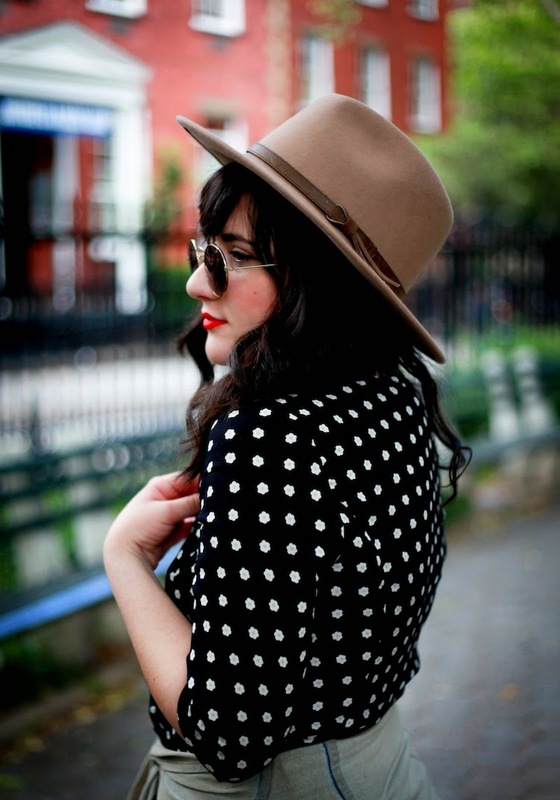 This one by For Love & Lemons that I found at Cloak And Dagger, one of my favorite NYC boutiques. I have seriously been wearing it way too much, but can you blame me? It's so adorable! Anyway, hope you all are having a great week so far! 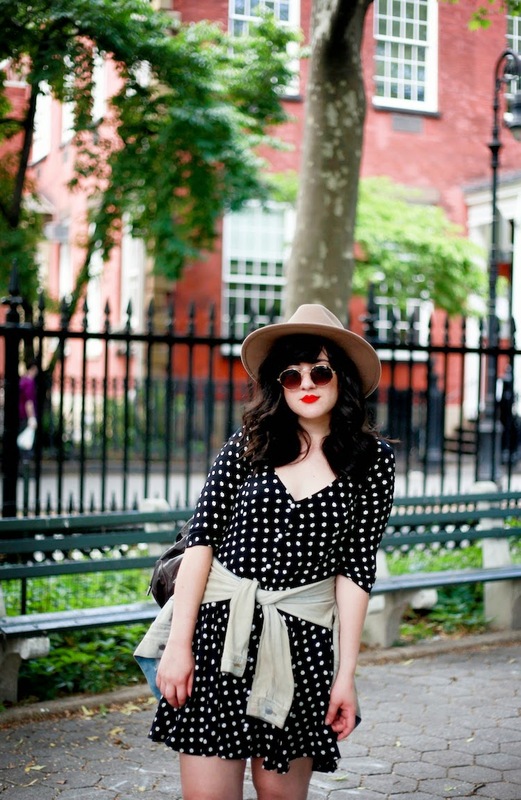 Looking beautiful in this retro - girly outfit! Great little dress and you look amazing in it. Obsessed, that dress is too cute for words! Your little black For Love & Lemons dress is lovely! I love that the dots are little flowers. Cloak And Dagger must be a lovely boutique to shop at. Such a pretty dress! 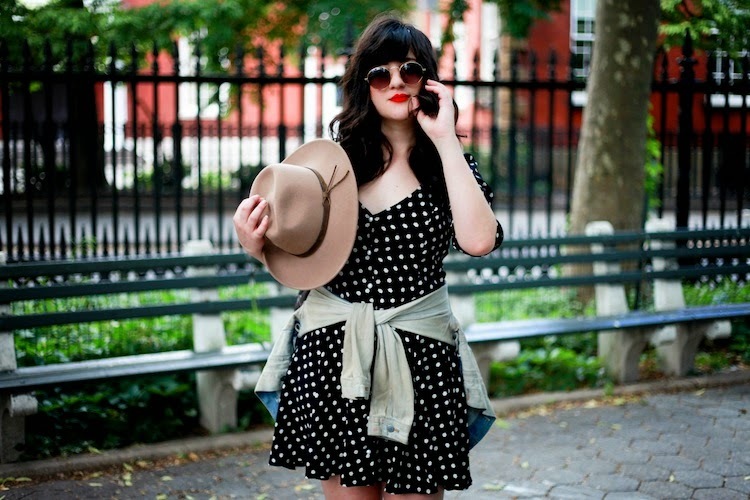 New York has the perfect weather for that outfit. I should definitely check that out! 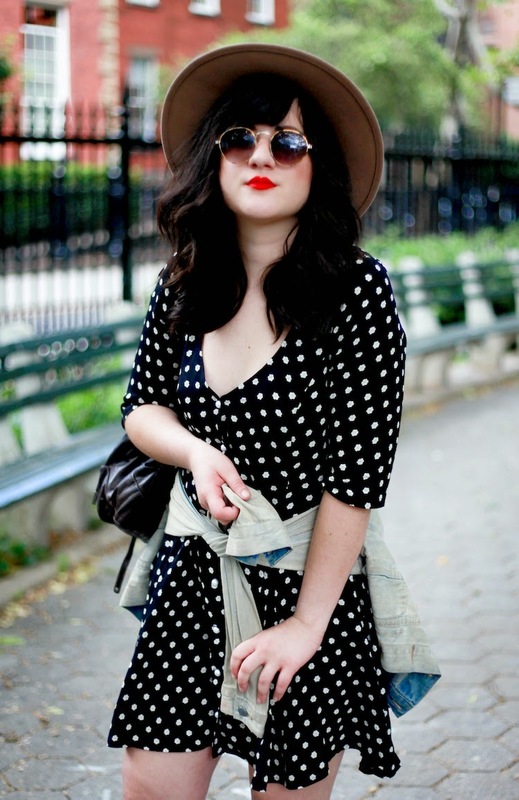 Every lady needs a summer dress in black and white polka dots.